On March 22 every year, World Water Day is celebrated to focus global attention on the importance of water and its imminent crisis. The day serves as a reminder that potable water is still a luxury for 2.1 billion people in the world. Water, although one of the commonest substances on earth, is also one of the most squandered, polluted and misused resources. Yet, it’s also the most vital substances that create and sustain life on Earth. But where did water come from? Let’s find out some unusual facts about water, including its origin. Theme, Significance and Interesting Facts About the Day Centred on Water Conservation. Although water seems to be indigenous to Earth, its origins are intergalactic. According to The Origins of Water, every drop of water on the planet came to Earth on comets and asteroids in a period known as Heavy Bombardment. Human bodies are mainly made up of water, which constitutes 50-60 percent of our entire selves. According to the Journal of Biological Chemistry, the human brain and heart are composed of 73 percent water, lungs are made up of 83 percent water and skins contain 64 percent water. That’s not all. Stunningly, even our bones are 31 percent water. Every time we exhale, we lose a little bit of water from our bodies. It’s estimated that by the end of the day, we lose 237ml of water, which is roughly a cup. What does that mean? A universal solvent is a substance in which most things dissolve. And water is better than most liquids in dissolving things, which is important to sustain life on Earth. Molecules of water have a polar arrangement of a positive hydrogen atom on one end and a negative atom on the other, which allows it to attract different types of molecules and dissolve them. Ideally, water is supposed to be in a gaseous form in room temperature. But water is also incredibly sticky, which makes the molecules stick together tightly as a liquid. Earth is covered by expanses of vast oceans and seas, but they are nothing compared to the air in the atmosphere. At any given point in time, there is 37.5 million billion gallons of water in the air, enough to cover the entire surface of the earth with just an inch of rain. 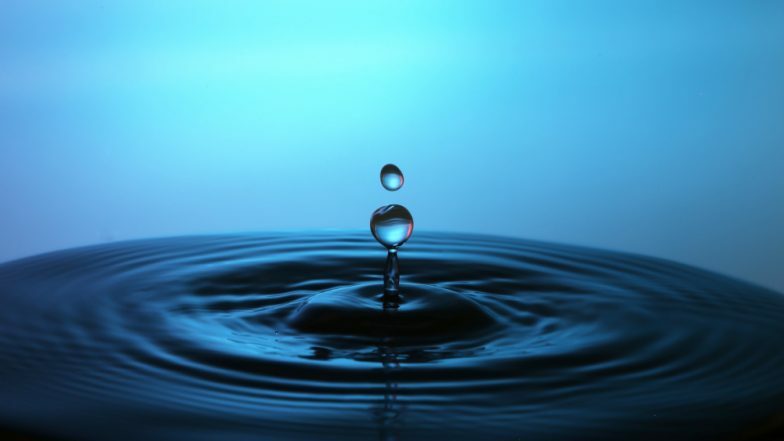 Water has an innate “stickiness” which helps it defy gravity in some cases. This quality allows water to move up against the gravitational force in a phenomenon called capillary action. It’s this stickiness that helps the blood in the veins move upwards against gravity. When groundwater gets polluted, it eventually does get purified. But it can take many millennia. It’s always easier to not pollute ground than to clean it up. A leaking tap may seem not like that big a concern. But it could waste more water than you think. A steadily dripping tap can waste more than 11 thousand litres of water in a year. Next time, don’t ignore that dripping tap. Although there’s more water on earth than land, potable water is very scarce. Seventy percent of the world is covered with water but only 2.5 percent can be consumed. And only one percent can be accessed. Water scarcity could become a reality by 2030. And if that happens, 700 million people in the world could be displaced in their quest for fresh drinking water. Water is an incredibly life-giving and life-sustaining substance, without which, life on earth is impossible. Unfortunately, we are moving towards a terrible water crisis at a global scale. So let's take this opportunity to create better awareness about the importance of water.